If you’ve been debating if you should create an online course or membership site you’re going to LOVE this short video. Online courses versus membership sites. I get quite a few people asking me “Which one should I do?” Well, I know that the membership site model with recurring revenue sounds more interesting, right? If you’re going to spend time why not get some recurring revenue out of this. But, the reality is that it might be smarter to start with an online course. So, let’s just dive into this and then I’ll give you some pointers as to how to choose which one will be best for you. The online course is a program that people go through either at their own pace or together as a group – that’s what we call a live online course – and it’s usually between, I want to say, 4-12 modules over 4-12 weeks. It’s basically training that’s pretty in depth in where people go through the modules and lessons in sequential order. So they should really to go through the content in that order so that they get the proper result. The goal of the online course is to solve a problem. An online course is a solution to a specific problem. In terms of how you get payments, it’s usually a one-time price that can be broken down into payment plans. People pay once and you choose how long you give them access to it. It can be a year, most people would say lifetime, which is normally for the life that the course is actually live on your website. That’s basically what an online course looks like. So once they start the course, if you have a community linked to it, like a Facebook group or something like that, they get to stay in, the community. They can continue to interact and support each other, but basically, when the course ends, there is no more training for them. There are seven or eight different membership site models that are very different and provide different types of content and show content differently. The overall idea of a membership site is to help someone get to a certain goal that is not going to be like one problem, one solution. So the idea here is that you usually have some core content that is delivered and that you get access to when you join, and that’s usually so that people can be on the same page. It can be either from assessments that you take, quizzes, maybe mini courses that they have to go through, so that they reach a certain level of knowledge and that they can really benefit from the membership. Membership sites are often based on communities. The community element is really, really strong. It can exist and you see it more and more with online courses now. It’s even stronger with a membership site because often people will stay in the membership for the community and the relationships that they have built with their peers and the support and accountability that they get on an ongoing basis. In terms of content that is being delivered, some still deliver content weekly or monthly, but the key here is that remember to not overwhelm your members. You have to really guide your member and let them know that they don’t have to consume all the content, everything that you publish. Because somebody that stays for a year, two years, that’s going to be a ton of content in your membership site, and they don’t have to go through everything. So what’s key when you’re doing a membership site is that you can guide people based on where they are and what they’re looking for. You can guide them to the best piece of content that they should look at. That’s really what they are looking after. They are not looking after more content, they are looking after quality content and support, accountability and guidance on what they could be doing next. Another huge element of membership sites that are really successful is their live component, so if you have monthly calls where you can have sometimes hot seats where somebody can come in and for like 15-20 minutes, you answer their specific questions. Then you can post the replay of the live calls inside the member area for anybody that could not attend, that’s another great way to provide high quality content, but not overwhelm your members with more content. That’s how you’re going to overwhelm them, and they might leave because they feel like they are paying for something that is just too much and they cannot consume everything. So that’s, I would say, the main difference. And of course, the pricing structure is a lot more interesting, because you can invoice weekly, monthly, quarterly or yearly, so in terms of getting a regular stream of revenue, then it’s a lot easier obviously. It’s going to take more time though to get to a certain amount of revenue, because signing up to a membership is not the same price point as purchasing a course. 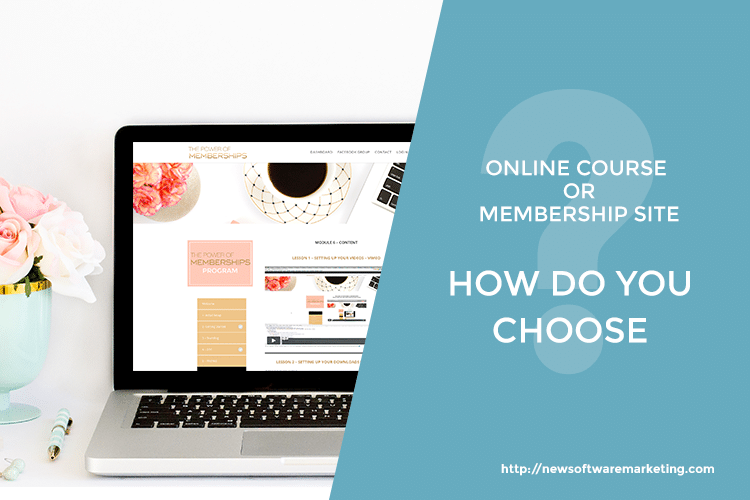 So, now that we’ve gone through the main differences between the two, how do you choose if you should create an online course or a membership site? 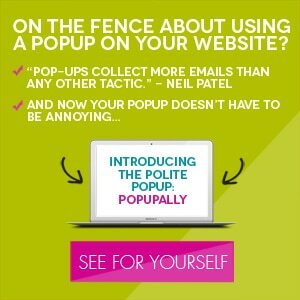 If you already have an audience, and people are craving for a community that’s a good sign. If you’ve talked to them, you’ve surveyed them, and you know that they are ready and willing to pay to be included in a private member area where they’re going to have access to you and to this community of people that really have a common goal, then definitely you need to think about building a membership site. You already have that audience that is craving for it. If you don’t have the audience though, it’s going to be much harder because you need to build that level of trust. You know how they need to like you, know you and trust you before they’ll buy from you? It’s even more important in a membership site. Because the relationship element is critical if you want them to stay in the long run. So that is really critical, if you don’t have that audience yet of people that you know will want that community, then I would say focus on one problem, one solution that you know your audience has, and then come up with a solution and turn that solution into an online course. You basically break it down into steps that they have to go through, from where they are now, where they have this problem, to where they want to go. For example, if I were to create an online course, which is actually exactly what I did, to help people build their own membership site. What I would do, is I know it’s a need, because people have told me, I have surveyed people, then I break it down into steps to go from right now where they don’t have an online course, to the final result or solution, which is they have an online course. Then, I define all the steps they have to go through to get there. Those become my modules. Inside those modules I can break them down again into lessons so that they are bite-sized pieces that they can consume. When you do that, and you launch your course, what you can do is survey them to find out what kind of help they would need next. Should you create a community? Are they craving for a community of people like them that have gone through that course and that would love some accountability and hand-holding and support on an ongoing basis? That’s where you’re going to be able to find out what type of membership you could eventually build, because people will tell you. That’s the key to either an online course or membership site – listen to what people say. Don’t assume that you have a great idea and that because you’re really good at what you do, people are going to buy, because it just doesn’t work that way, you’re likely going to hear crickets! So that’s basically my take. If you don’t have that audience for a membership site, then start with an online course, focus on one problem, and if you don’t know what that problem is, go back and talk to your people. Go back to talk to your ideal client. 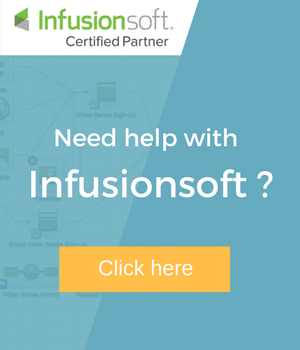 You’ll find them online or offline, wherever they are, and come back with a solution to that problem in the form of a course, and then start with that. Then, you will see if they will be interested in a membership site where they can get ongoing support and that community feeling. I hope that you find this information useful and that it’s helping you figure out if you should start with an online course or a membership site. If you have any questions, please post a comment in the comments! 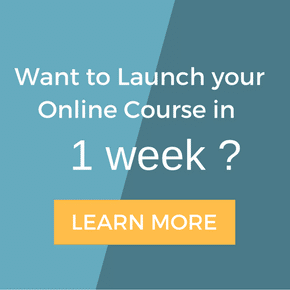 So now I’d like to know: are you building an online course or a membership site?